Roast Pork and Crackling, Let me show you the easy trick to getting a nice crispy crackling PLUS tender juicy meat! 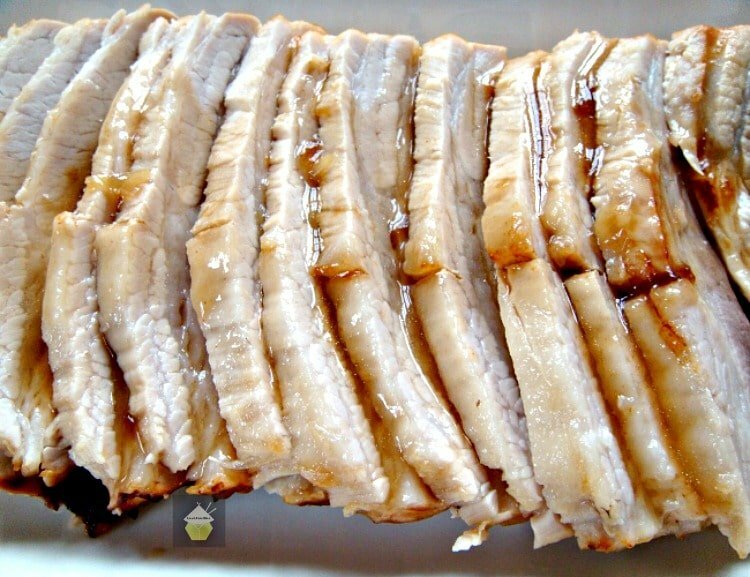 Roast Pork and Crackling – Let me show you the easy trick to getting a nice crispy crackling PLUS tender juicy meat! 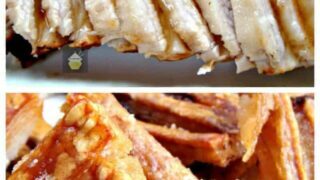 Roast Pork and Crackling, an easy step by step guide to show you how to get nice crispy crackling and tender juicy meat. So delicious! Often people can feel a little intimidated at the thought of cooking a Sunday Roast Dinner. It can turn into a nightmare if you don’t organise yourself and get your timings right so that everything is ready at the right time. 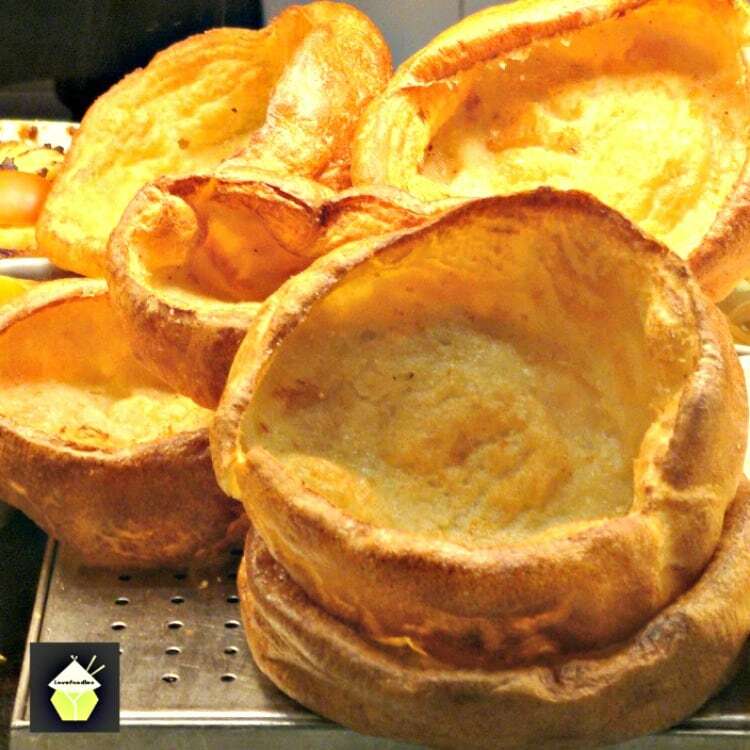 A traditional Sunday Roast dinner would usually be made up of a joint of meat, whether it be a whole chicken, leg of lamb, joint of beef or pork, along with roast potatoes, a selection of vegetables, and gravy. Here I will show you how to make a delicious Roast Pork dinner, with lovely crackling! 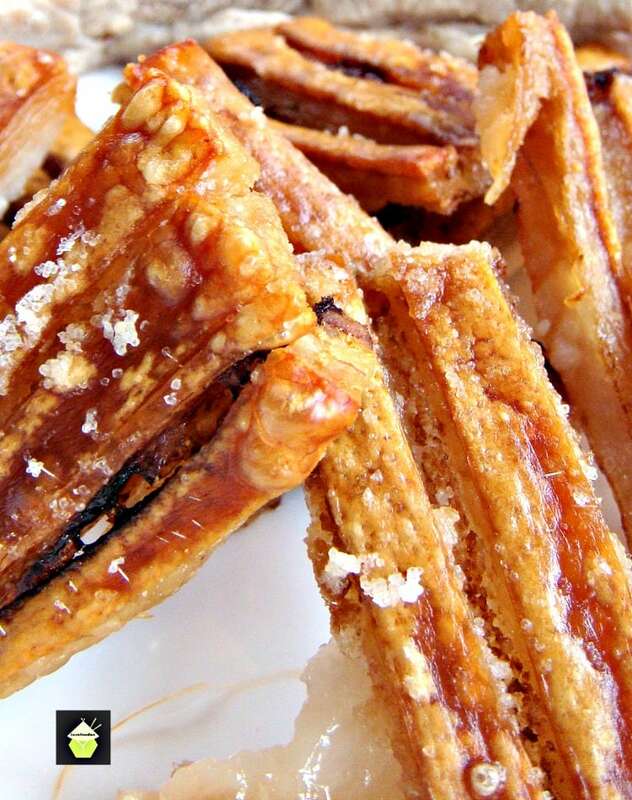 I love the crackling and enjoy eating it with Home Made Apple Sauce. The beauty of having a roast dinner is that any leftovers can be used the following day, such as roast pork sandwiches, or chopping the cold meat into cubes and adding to a fried rice for your Monday dinner! or you could even add to a pie, such as our chicken pie recipe using leftovers. Obviously just switch the chicken for pork in this case! 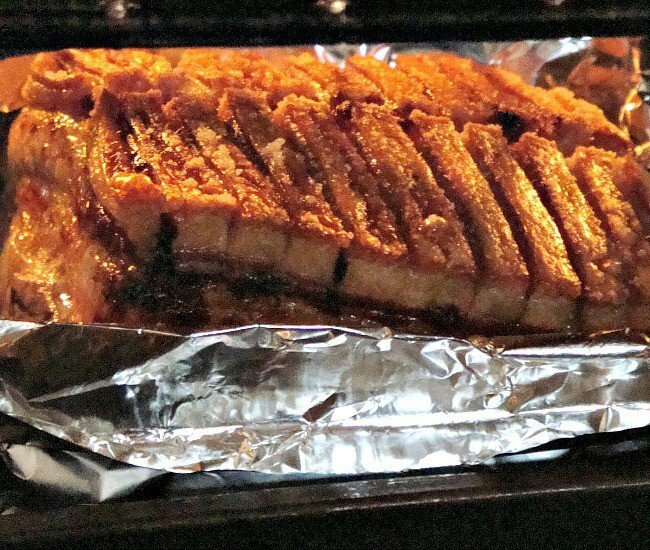 For this recipe for Roast Pork and Crackling, you will be shown how to roast a joint of Pork, and keep it moist. 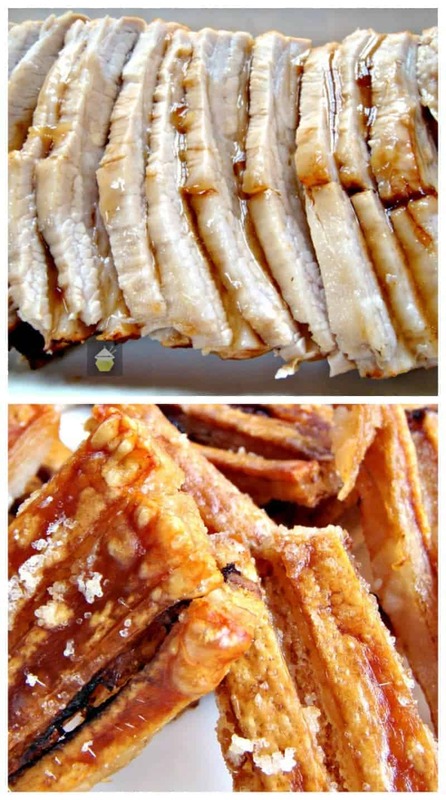 I will also show you how to get crispy crunchy crackling from the skin of the Pork. Often people find this part the hardest, to get it crispy, but I have an easy way that works! 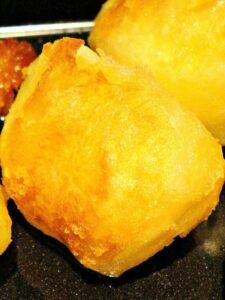 There’s also a link to how to make crispy crunchy roast potatoes, so trust me, this recipe doesn’t require any skill, apart from thinking about your timings, but you do that every day when you have to get up for work or catch a bus right? So let’s get straight to the recipe and see how we can make a lovely Roast Pork dinner with crispy crackling. Please enjoy! Herbs if you like, Tarragon, Sage, Thyme etc. Calculate 1 apple per person. See here for cooking instructions for my 3-minute applesauce. 2. Prepare the Pork. 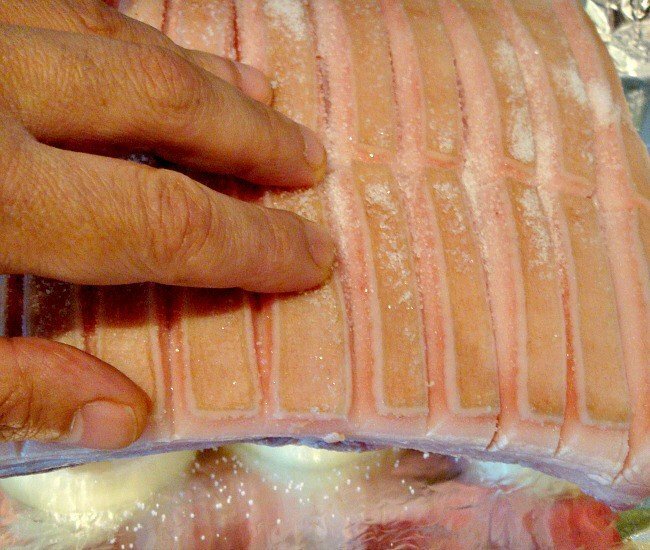 First, take a sharp knife and cut through the skin, as far as the fat layer in straight lines, about 1 finger width apart. See the photos below. The cuts should be 1/2 inch apart and about 2-3 inches long as in the photos. 3. 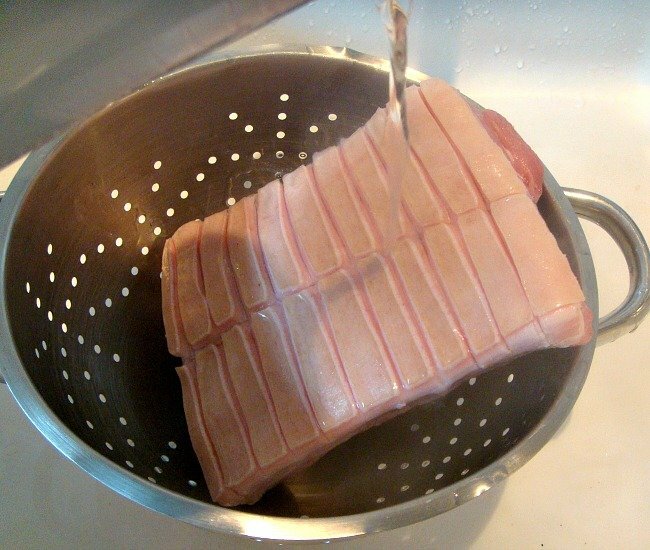 Place meat in the sink and pour a kettle full of boiling hot water all over the skin. 4. You see the skin has separated. Pat the skin very dry with kitchen paper, and in between the cuts also. 5. Slice an onion and place on a baking dish. 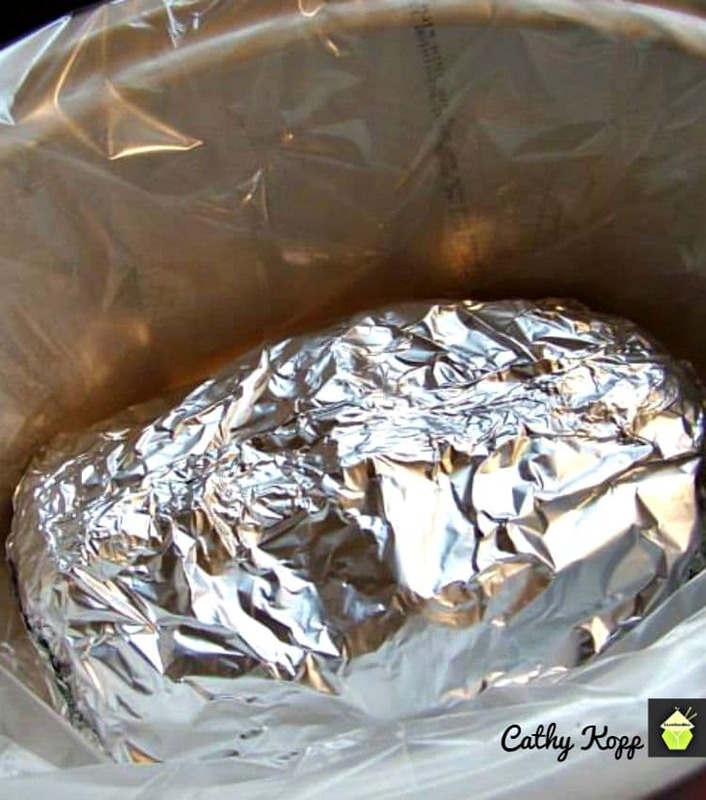 First, place some aluminum foil on the dish and be sure to have enough foil so it comes up the sides to cover any exposed meat (NOT the skin). 6. Season the underside / exposed meat part by rubbing some pepper and any other herbs you like. 7. Place the meat, skin side up on the onions and then taking the fine salt, sprinkle all over the skin, rubbing it in, and also in between the cuts. 8. Gather the foil to cover the sides of the meat where it may be exposed, that is if there is no skin covering the meat. This will stop it from drying out. Adding onions will flavor the juices in the tray which will be added to the gravy and also the steam from the onions cooking will keep the pork moist as well as add flavor. Looking for a good roasting pan? We recommend this one here. It’s a reliable, solid pan and won’t flex in the heat of the oven. 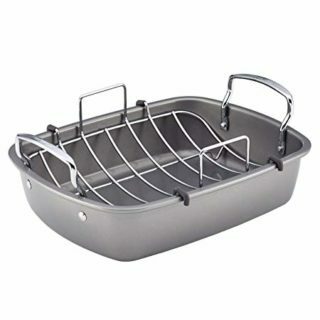 It also comes with a trivet so if you wanted to cook roast chicken or other meats and keep them off the bottom of the pan just pop the trivet in the pan! 10. Turn the oven down to 190 C, 375 F, Gas 5, and cook using the guide below. 11. At this point, prepare the roast potatoes and place in the oven after the pork has finished cooking. 12. Prepare your chosen vegetables. Start cooking your vegetables when you have taken your pork out of the oven. 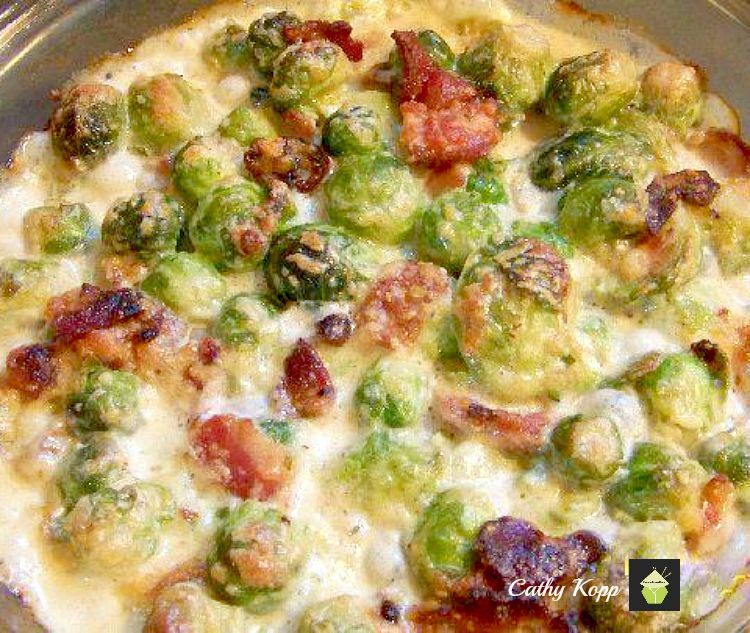 If you want to cook them now, you will need to keep them warm somewhere or reheat. 25 minutes (no matter what weight the meat is) at 240C, 475F, Gas 9 then after 25 minutes, turn oven down to 190 C, 375 F, Gas 5 and cook for 35 minutes per 1 pound of meat. So if your meat weighs 4 lbs, your cook time will be 25 minutes to start, and then 140 minutes for the 4 lbs of meat. (35 minutes x 4 lbs = 140 minutes). ****For those who have a meat thermometer, the internal temperature should be 150F. 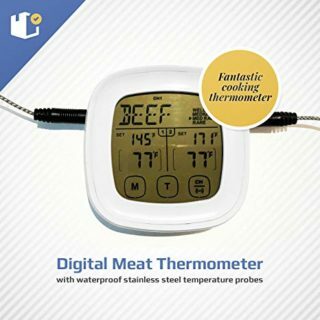 If you’d like a meat thermometer, here’s a great one we can recommend! 13. When the cook time is up for the pork, take out of the oven and let rest for 35 minutes. As soon as it is not too hot to handle, remove the crackling from the pork and place crispy side up on a plate (keep away from the family!!) and then wrap the pork up in the foil to keep moist. You can use the juices in the gravy if you wish, although it may be a little fatty. You can choose! 14. At this point, start cooking your vegetables. 15. Turn your oven temperature back up and roast the potatoes. This should be done whilst your roast pork is out of the oven and resting. 16. Make up some applesauce if using. 5 minutes before the potatoes are done and when your pork has rested, use a sharp knife and slice the pork ready for serving. We’d love to hear from you and what you thought of our roast pork and crispy crackling recipe. Did you make any changes or add some other goodies? Let us know in the comments below. Thanks for reading and happy cooking! Here are a few more roast dinner recipes for you to enjoy! 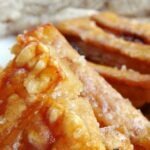 Roast Pork and Crackling - Let me show you the easy trick to getting a nice crispy crackling PLUS tender juicy meat! See here for cooking instructions for my 3 minute apple sauce. 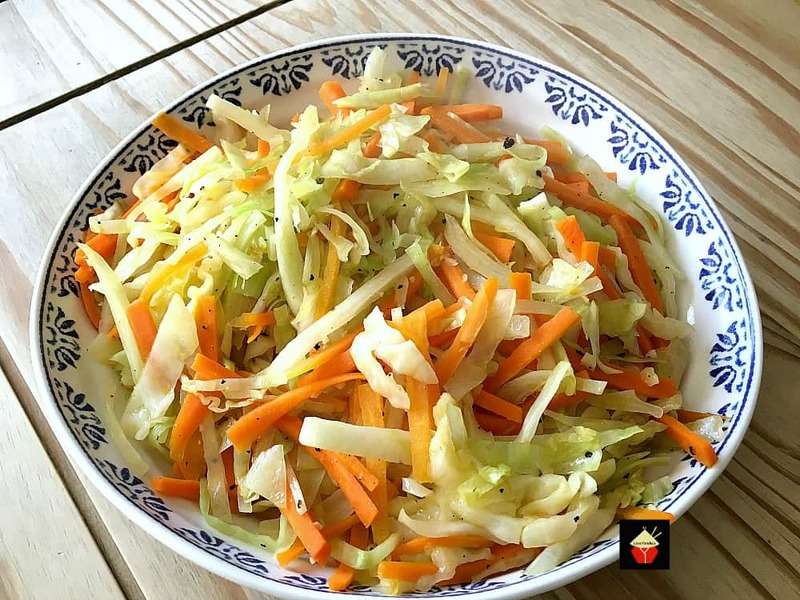 in Choose vegetables that you like and are season. for example, broccoli, cauliflower, Brussel sprouts, carrots,cabbage etc. Whatever takes your fancy! Prepare the Pork. 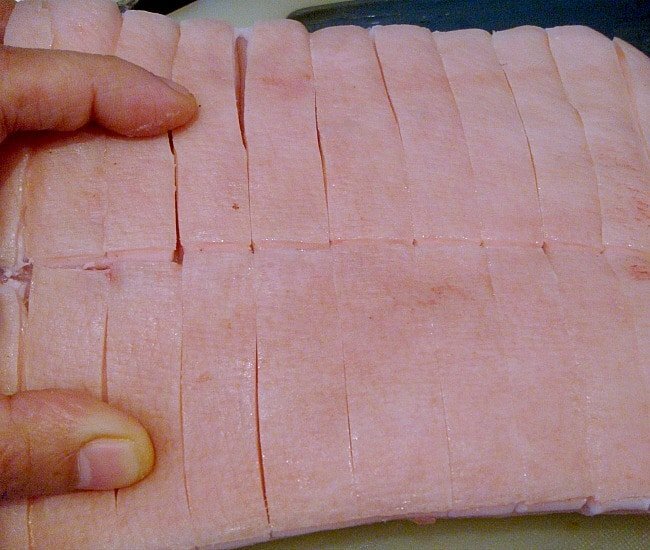 First, take a sharp knife and cut through the skin, as far as the fat layer in straight lines, about 1 finger width apart. See the photos below. 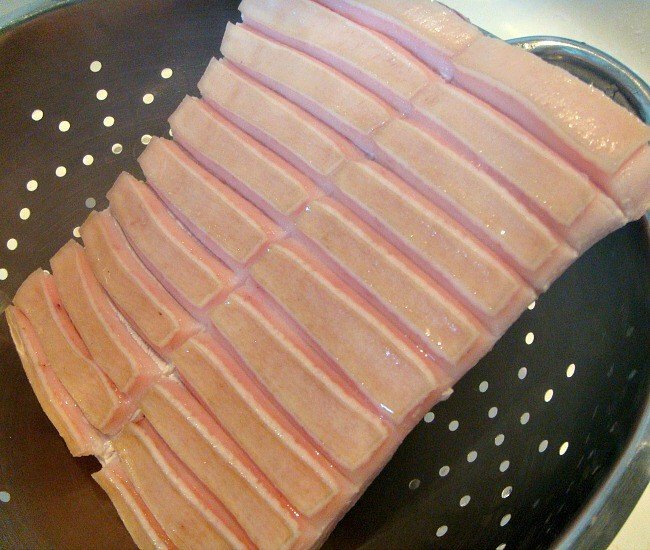 Place meat in the sink and pour a kettle full of boiling hot water all over the skin. You see the skin has separated. Pat the skin very dry with kitchen paper, and in between the cuts also.. When you buy your joint of pork, be sure to choose a piece where there is a lot of skin on the 'top' as this is what will make the crackling. You can ask your butcher to score the lines on the skin, but make sure the cuts are down to the fat level otherwise it won't crisp up. Slice an onion and place on a baking dish. First place some aluminium foil on the dish and be sure to have enough foil so it comes up the sides to cover any exposed meat (NOT the skin). Season the underside / exposed meat part by rubbing some pepper and any other herbs you like. Place the meat, skin side up on the onions and then taking the fine salt, sprinkle all over the skin, rubbing it in, and also in between the cuts. 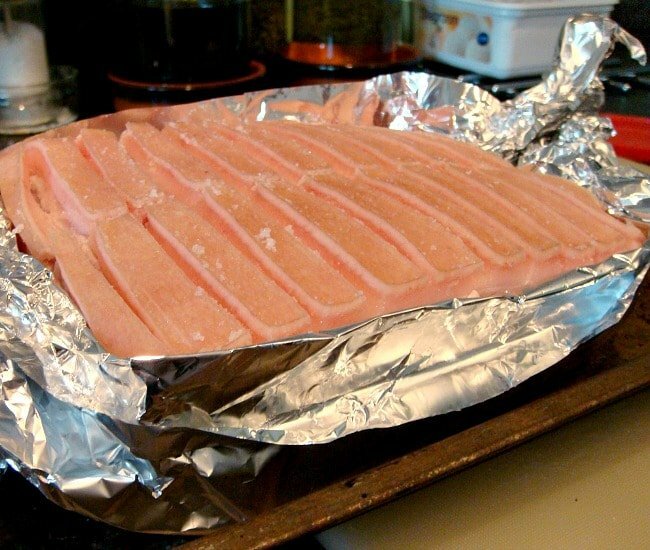 Gather the foil to cover the sides of the meat where it may be exposed, that is, if there is no skin covering the meat. This will stop it from drying out. Adding onions will flavour the juices in the tray which will be added to the gravy and also the steam from the onions cooking will keep the pork moist as well as add flavour. Turn the oven down to 190 C , 375 F, Gas 5, and cook using the guide below. At this point, prepare the roast potatoes and place in the oven after the pork has finished cooking. Prepare your chosen vegetables. Start cooking your vegetables when you have taken your pork out of the oven. If you want to cook them now, you will need to keep them warm somewhere or reheat. Turn oven down to 190 C , 375 F, Gas 5 and cook for 35 minutes per 1 pound of meat. So if your meat weighs 4 lbs, your cook time will be 25 minutes to start, and then 140 minutes for the 4 lbs of meat. (35 minutes x 4 lbs = 140 minutes). For those who have a meat thermometer, the internal temperature should be 150F. When the cook time is up for the pork, take out of the oven and let rest for 35 minutes. As soon as it is not too hot to handle, remove the crackling from the pork and place crispy side up on a plate (keep away from the family!!) and then wrap the pork up in the foil to keep moist. You can use the juices in the gravy if you wish, although it may be a little fatty. You can choose! At this point, start cooking your vegetables. Make up the gravy. If you are boiling the vegetables, use the cooked vegetable water and add to a saucepan, together with the other gravy ingredients and heat up, stir to make sure there are no lumps. Turn your oven temperature back up and roast the potatoes. This should be done whilst your roast pork is out of the oven and resting. 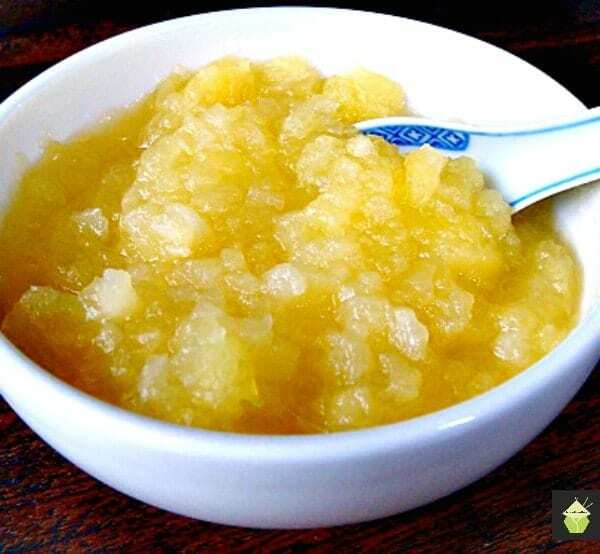 Make up some apple sauce if using. I like the way you photograph your food. Plus, it’s interesting food. Hi you make this sound so easy, I am going to try it today. Just curious though. You don’t use oil on the skin, every recipe I have seen says oil and salt. 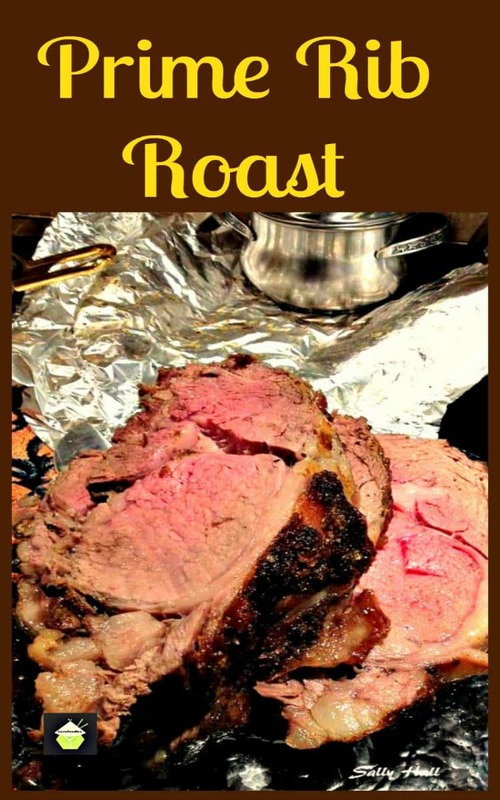 How long to cook a 4 lb 4 oz roast with bone in? Hi Jayne, because your pork will have the bone in, the cook time is faster, so you need to calculate approx 20 minutes per pound. So for this recipe, start with the first 25 minutes cook time at the higher temperature of 240 C, 475F, Gas 9 then after 25 minutes, turn oven down to 190 C , 375 F, Gas 5 and cook for 20 minutes per 1 pound of meat. So for you, start with 25 minutes then after turning down the oven, cook for a further 1 hour and 20 minutes at the lower temperature. Please do make sure you cover any parts of your pork with foil which do not have crackling to stop it from drying out. That way, your roast will be lovely and juicy! Hope this helps and happy Christmas to you!